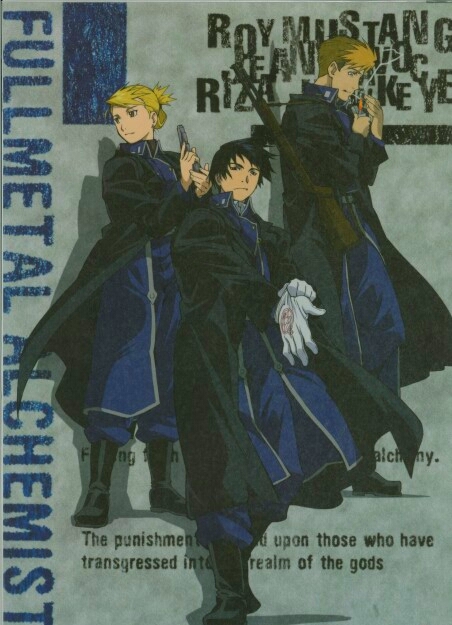 Riza Hawkeye, Jean Havoc and Roy mustang. . Wallpaper and background images in the Riza Hawkeye Anime/Manga club tagged: photo fma fullmetal alchemist brotherhood colonel roy mustang flame jean havoc manga anime character lieutenant riza. This Riza Hawkeye Anime/Manga photo contains anime, komik, manga, and kartun. There might also be koran, kertas, majalah, tabloid, kain, and rag.